It’s a precious time, really, to spend an evening relaxing, laughing and cooking with family, especially when they have a nice balcony, great grill, enthusiastic epicurean appetites, and a little wine to share…along with pleasant breezes and a long weekend. With the garden just beginning to pop, my contribution was a thick handful of ramps, two varieties of pickles from last season (received well!) and some homemade sundried tomato hummus. 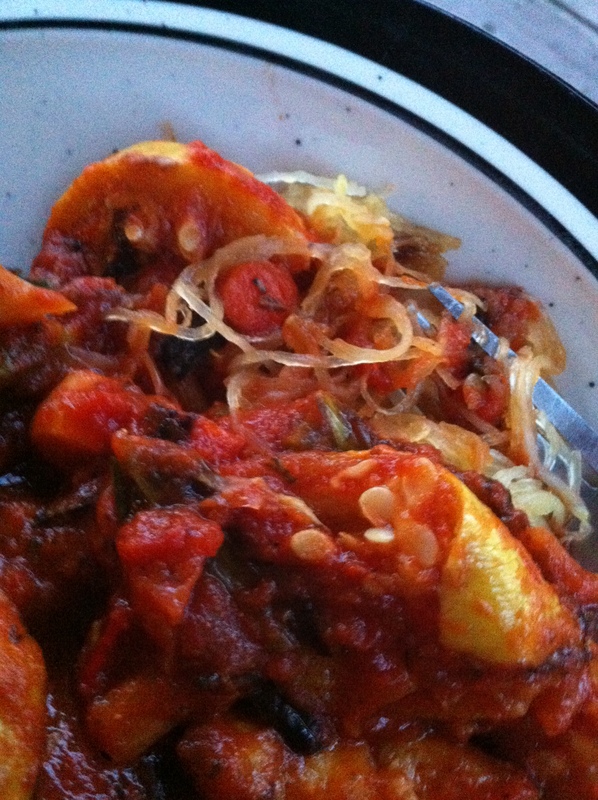 We wandered and deliberated, then decided on a Mediterranean style dinner… simple, wonderful. Gluten free of course. Do I even need to write up a recipe? Noo…. we surely didn’t follow one. Okay, we did season with oregano, marjoram, rosemary, basil, chili pepper flakes, a crunchy, coarse ground salt – and a drizzle of oil. 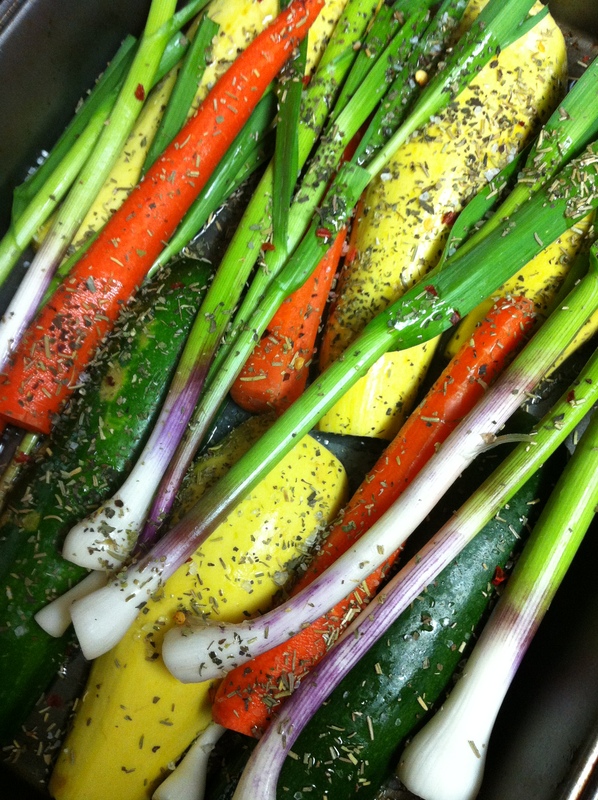 herbs, oil, chili pepper flakes and coarse salt for the vegetables – and we’re excited to taste grilled ramps! We baked the halved, deseeded spaghetti squashes for about 40 minutes in a hot (425 degree) oven before adding them to the grill for that irresistible, smoky flavor. 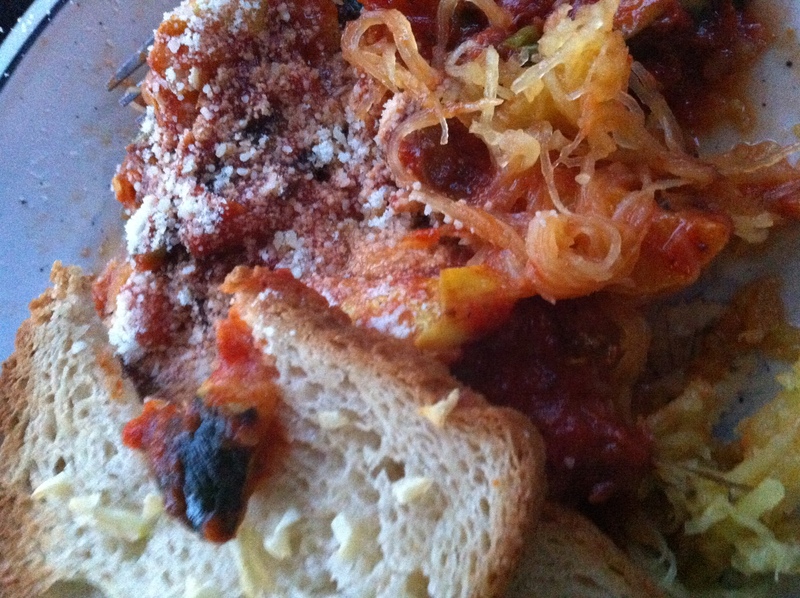 If you’ve never tried substituting fine, tender spaghetti squash for pasta, you simply must. Do it! It’s really delicious. So good! 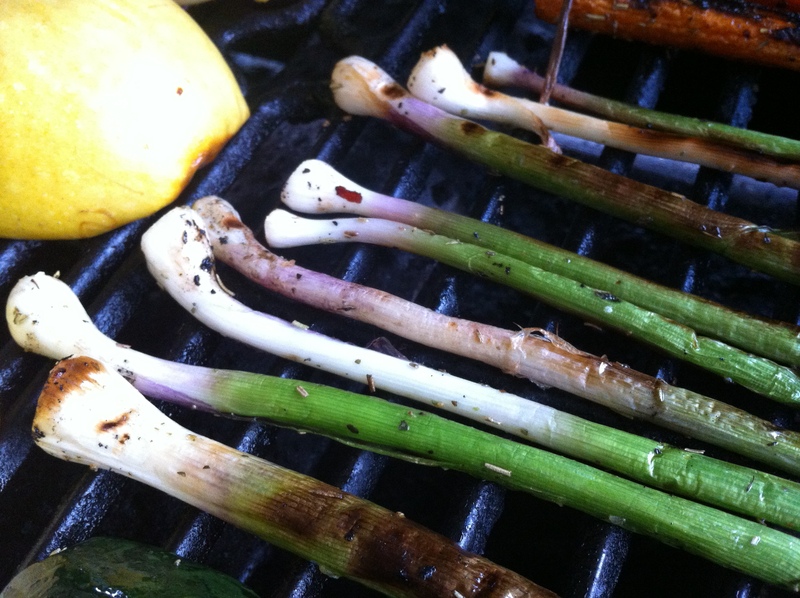 Grilled yellow squash and the velvety ramps have to be some of my very favorites! So good! 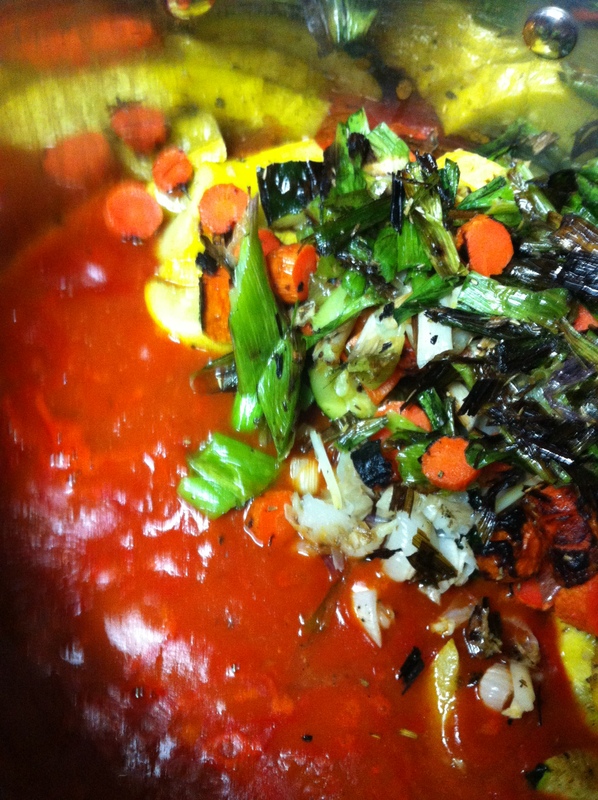 Grilled yellow squash, zucchini and the velvety ramps have to be some of my very favorites! And that SAWSE! With plenty of garlic (and good butter) toast to go with. A fine collaboration. With hugs. Wow, these photos look so appetizing! I love the narration as well… beautiful post for morning reading! Thank you so much! 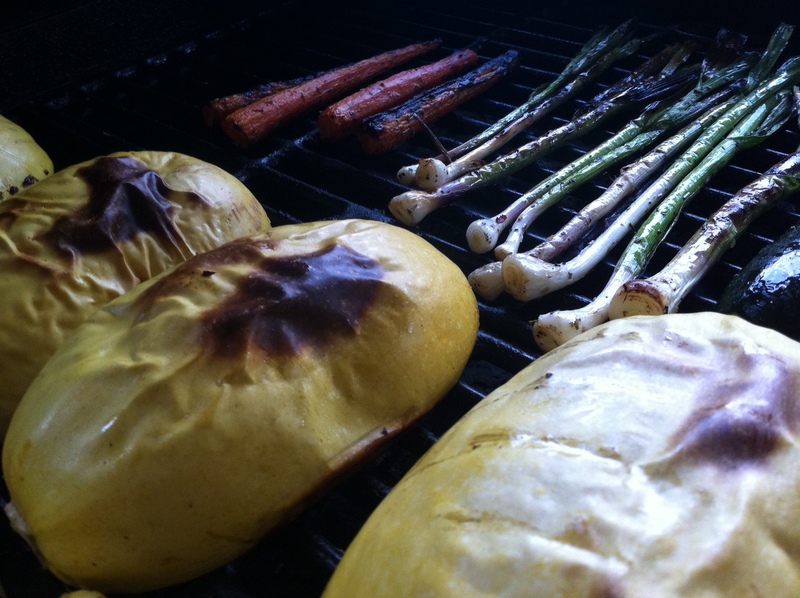 Vegetables on the grill have a universal appeal, I think! So glad you enjoyed the narration, too! Blessings!